Give the gift of endless memories this season with the gift of presence and holiday cheer in City of Winter Garden | Florida. Noted in Forbes Magazine as one of the fastest growing suburbs in the country, the modern day Mayberry's small-town charm provides the perfect landscape for cultivating new holiday traditions and cheer. Beginning on Friday, December 7th, the historic streets will be decked out with holiday decor and a festive line up full of merriment and delight. The lengthy list of entertainment including live music performances, Dickens-era carolers, spectacular light shows, hayrides with Santa, and a very merry farmer's market will lift your spirits and delight audiences of all ages. The beautiful cityscape of Downtown Winter Garden provides a picture-perfect backdrop for festive family photos and Santa selfies. 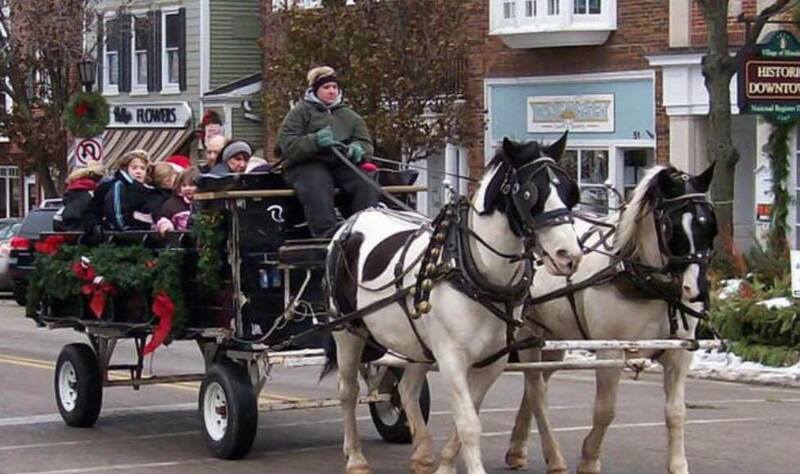 Watch as your child's eyes light up with joy as you take an old fashion hayride adorned with sleigh bells and piloted by the big man himself (Dec 8th 6:00 p.m.-9:00 p.m.) down the streets adorned with decorations. 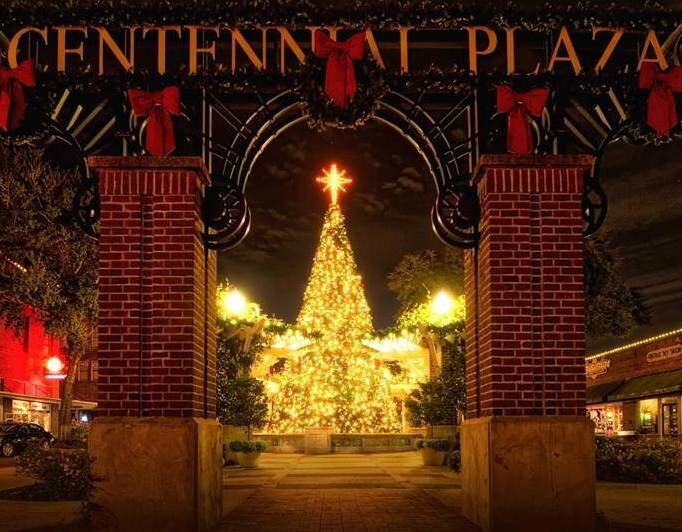 Every Friday through the month of December music will fill the streets with special live holiday musical performances at the Centennial Plaza Gazebo. There will also be a live performance of the traditional classic, "A Christmas Story" at the historic Garden Theatre. Don't forget to visit Santa at the Very Merry Farmers Market on Saturdays from 9:00 a.m.-2:00 p.m. City Hall will be the hub of holiday spirit with a magnificent animated light show projects across the front facade in sync with holiday tunes. This spectacular family-friendly event in Winter Garden is your one-stop holiday shop for holiday cheer and tidings of great joy this December. 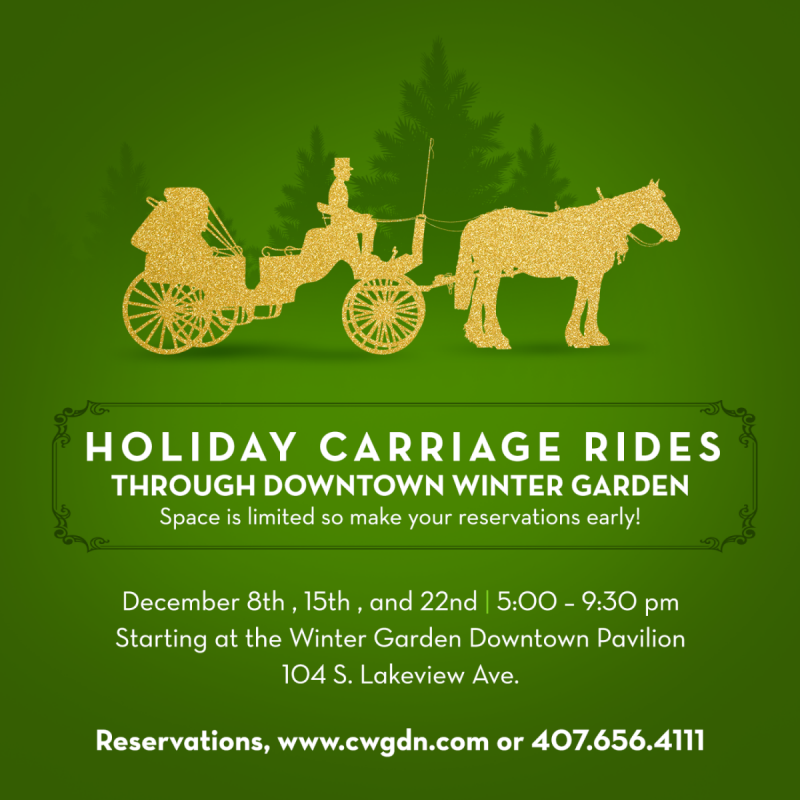 For more information on this Winter Garden event bursting with holiday spirit connect with their community page on 407area for a full list of family-friendly events in Orlando all year long.